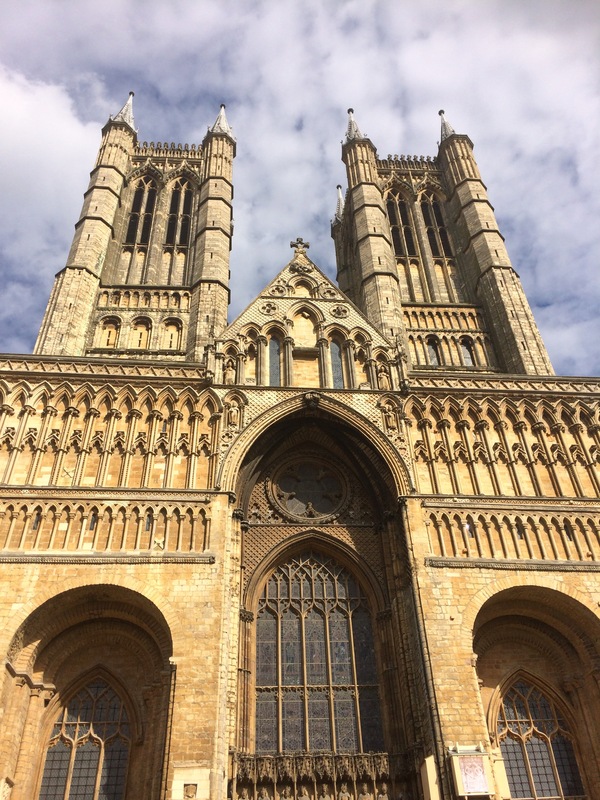 I wanted to write this article today about the lovely city of Lincoln. I have visited a few times over the past two years and I’m feeling the need to return because I love it so much. 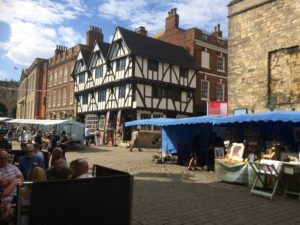 Lincoln is full of attractive properties, including 16th century and Georgian buildings with the beautiful Norman Cathedral and castle. Once you visit the centre of the city you feel that you’ve stepped back in time. Lincoln was a Roman town and many of the buildings reflect this, such as the 3rd-century Newport Arch; the northern gateway that is still used by traffic. When you have reached the summit of what’s called ‘Steep Hill’, as the name suggests, you reach the cathedral. This majestic 900 year old medieval building can be seen from far away. Visitors come from all around the world to observe its beauty. It is a wonder to walk around. I couldn’t get over how vast it was once inside with so many parts of the cathedral to investigate. Outside, it is just as monumental. I really enjoyed sitting for a while and taking in its beauty. The nave with its limestone marble columns, and vaulted roof are a breath taking sight. Just across the cobbled square stands the Norman castle which was built on the site of a former Roman fortress. 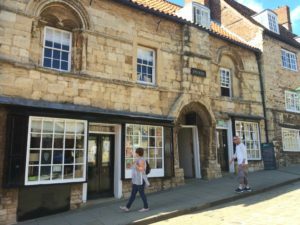 Around this area is the old quarter of Steep Hill and Bailgate, where you encounter gorgeous specialist shops, little markets and great musicians. Walking back down the hill you come upon Brayford pool, a harbour which is lined with cafés and restaurants where you can sit on sunny days and see the boats go by and people watch. The University of Lincoln is just across the water. 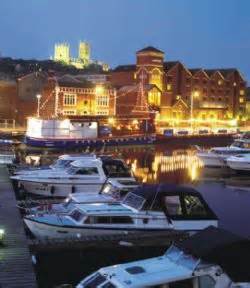 Lincoln is also very famous for its Christmas market, which can get very busy but is still worth a visit. I really need to go back because I feel that visiting Lincoln for the day is not enough. 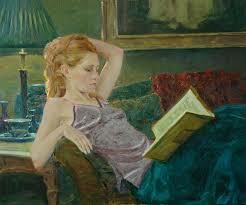 There are so many things to see and do that a week there would be wonderful. 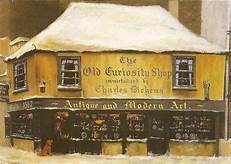 There are so many old winding streets with interesting things to look at (especially the ‘Book Stop Café’). I have included some of my recent photographs of the City. They are not intended to be professional, but they give me some wonderful memories. Rosie Goodwin – A Great Storyteller!